Krotov Physics has lots of multiple-choice questions for practice! Krotov Physics book is good but is not much suitable for JEE preparation. It explains theory in a simple and imaginative way, teaches you how to get answers quickly with minimal use of mathemathics and has a lot of multiple-choice questions (MCQs). JEE aspirants and those who are preparing for competitive exams can use the book to solve MCQs in their free hours as a practice. ‘Science For Everyone: Aptitude Test Problems In Physics’ by S.S. Krotov is meant to be a preparatory book for Physics aspiring to take entrance level exams. Originally, it was written for Physics Olympiads that used to be held in Moscow between 1968 to 1985. The Olympiads have been discontinued but this book is still popular as it presents scientific views in an interesting manner. 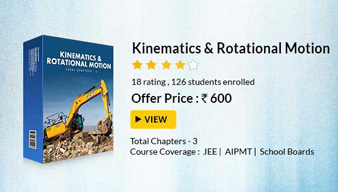 The best covered topics in the book are Electromagnetism and Rotation while you will need to consult other books for Wave Mechanics and Optics. The book is objective with plenty of practical questions thrown in. There are more than 200 physics aptitude problems sets, along with solutions. The problems have been designed to encourage students to different ways to solve them. It might not be easy to to find a copy to Krotov Physics to buy. But Krotov Physics pdf is easily available online. However, you might need to print out Krotov Physics download to really solve the questions in the book.